A historic exhibition profiling African-American classical scholars who made groundbreaking achievements in education at the end the Civil War will be on display at the Art, Design & Architecture Museum, UCSB, beginning January 14, 2017. The exhibition, created by classical scholar Michele Valerie Ronnick of Wayne State University in Detroit, is titled "14 Black Classicists," and focuses on the lives of fourteen African-American men and women who taught Greek and Latin at the college or university level and whose academic accomplishments helped pave the way for future generations of African-Americans entering American universities. "With them," says Ronnick, "begins the serious study and teaching of philology (the study of language) by African Americans. All who study language and literature in the U.S. today, be it Italian, Swahili, Sanskrit, English or Arabic, trace the origin of their disciplines to the men and women featured in this photo installation." Featured African-American academics in the exhibit include William Sanders Scarborough, the first black member of the Modern Language Association and author of a Greek textbook (1881), Lewis Baxter Moore, who earned the first Ph.D. awarded by the University of Pennsylvania to an African-American for his work on the Greek tragedian Sophocles, Wiley Lane, the first black professor of Greek at Howard University and John Wesley Gilbert, the first black to attend the American School in Athens, Greece. The installation was created by Michele Valerie Ronnick, and funded by the James Loeb Classical Library Foundation at Harvard University. 14 Black Classicists is jointly mounted by the Art, Design & Architecture Museum and UC Santa Barbara Library. It is organized by Prof. Michele Valerie Ronnick, Wayne State University, and was brought to UCSB by Prof. Helen Morales, the Hellenic Studies Committee, and the Department of Classics, thanks to the generosity of UCSB's Argyropoulos endowment in Hellenic Studies. Brett Collins, Classics PhD Student assisted with research and programming. John Oganian, BA Art History '17 curated its presentation at UCSB. 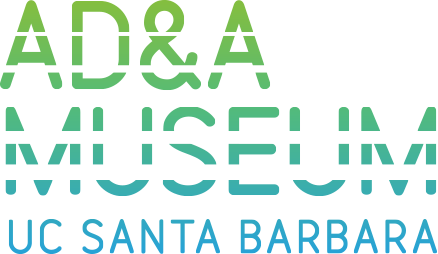 February 15 @ 5:30pm: Walk-through, A Curator's Perspective with Prof. Helen Morales, UCSB Classics Dept. please go to Programs & Events page.